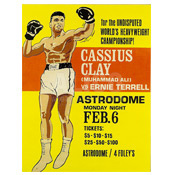 22 x 28" official on-site cardboard poster silk-screened in orange, white, black and yellow with artist's illustration of both Ali and Terrell. 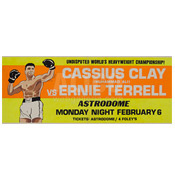 Terrell refused to call Ali by his new name and consistently referred to him as Cassius Clay. 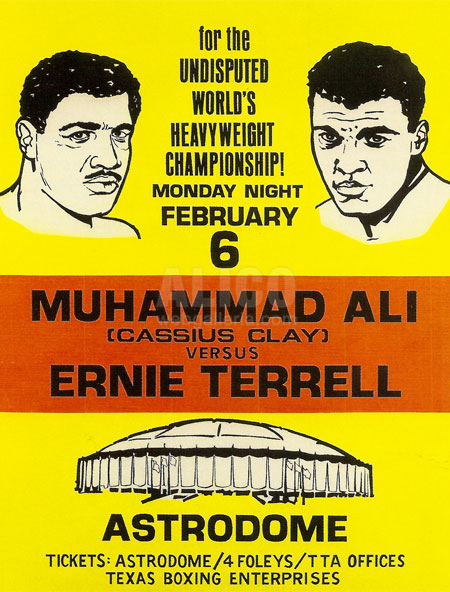 As a result, Ali's dislike for Terrell was widely known before the two met in the ring on February 6, 1967 in Houston, Texas. 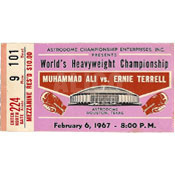 Ali beat Terrell soundly in fifteen rounds, winning by decision. 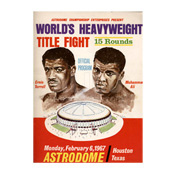 In excellent to mint condition.